The Alp collection of bathroom products from Bristan is one of those contemporary designs that looks good in any new bathroom. 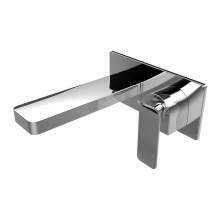 The range has a single lever design which gives a sleek look and feel. 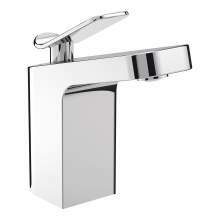 The single lever control for both hot and cold water as well as the flow rate is both stylish and practical. The internal Ceramic disc gives a guarantee of quality and ease of use. 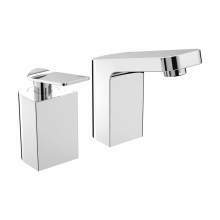 The Bristan Alp collection of taps are all available in a popular, bright chrome finish. 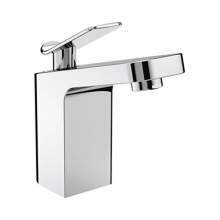 All the products are designed to work on a good pressure system and ideally from an average of 0.4bar upwards. 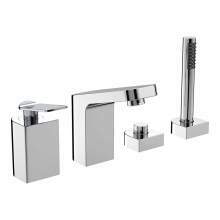 Due to the expansive number of products within the Alp bathroom range you can choose from a single basin mixer, a one hole bath monoblock, a wall mounted basin and bath tap, a two hole bath tap which has a separate control to give a unique style and look and many more! All Alp Bristan products carry a 5 year manufacturers guarantee and give complete peace of mind.